Tropical cyclones (TC) are one of the most destructive natural phenomena in the world. The land-falling TCs can bring about significant impacts to coastal areas with heavy precipitation, damaging winds, or storm surges. Some of them can intrude into in-lands and cause severe flooding there. How are these impacts changing in a quickly developing society? How to assess the detailed features of these impacts on different bearing bodies? Explorations into these questions help us be more ready for TCs. 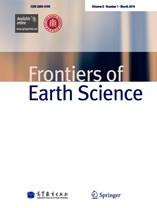 This special issue of Frontiers of Earth Science is soliciting papers focusing on the understanding of tropical cyclone activities, with an emphasis on the impact assessment of land-falling tropical cyclones. The main goal of the special issue is to provide further insight into the activities of TCs and the developments in methods that are being used to assess the impact of TCs. Papers are especially sought that describe the fine scale features of TC impacts on a specific bearing bodies, such as city buildings, mountainous regions, wind mills, and so on.